Passing by a Shinto shrine of any repute during the week leading up to November 15th and you will see them: tiny people dressed to the nines in equally tiny kimono and hakama. They are Japanese children of the ages of three, five or seven years old. In one hand they clutch a treasure, chitose ame, thousand year candy (not thousand year OLD candy; that would be gross), in a bag decorated with turtles and cranes, animals renowed for long lives. Often they are accompanied by grandparents who also take the occasion to deck out in their finest traditional attire. The occasion is Shichi-Go-San, literally translated to “Seven, Five, Three”. 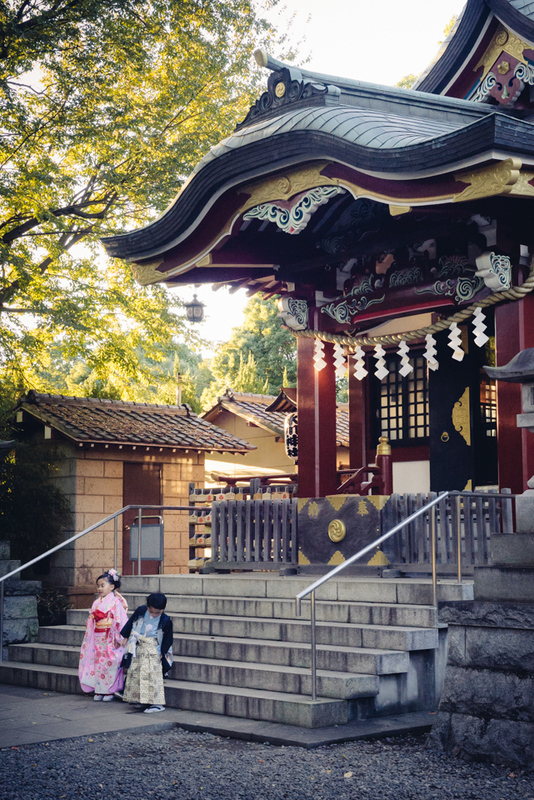 Girls aged three and seven and boys aged three and five are given a “rite of passage” of sorts which consists of a visit to the shrine and a blessing by a Shinto priest. Modern times dictate that as long as you went through the trouble and expense of getting the kids dressed up (often in rented clothing), you might as well bring out the camera or hire a photographer for a family portrait at the same time. Why the years seven, five and three only? Anyone who has traveled through Asia knows numerology is taken very seriously here. The Chinese are especially crazy over the number eight, while the Japanese prefer odd numbers. Except the number 9 of course, which can be pronounced the same as the word for “death” and should naturally be avoided. Are you following me so far? Also, Japanese used to follow the rule that a person was one year old at birth. Take one and nine out of the equation and you are left with three, five and seven as your odd, single-digit numbers. Tada! The tradition likely originated from times when common diseases claimed the lives of many children before they could grow to adulthood, thus the focus of the ceremony on long life and health. 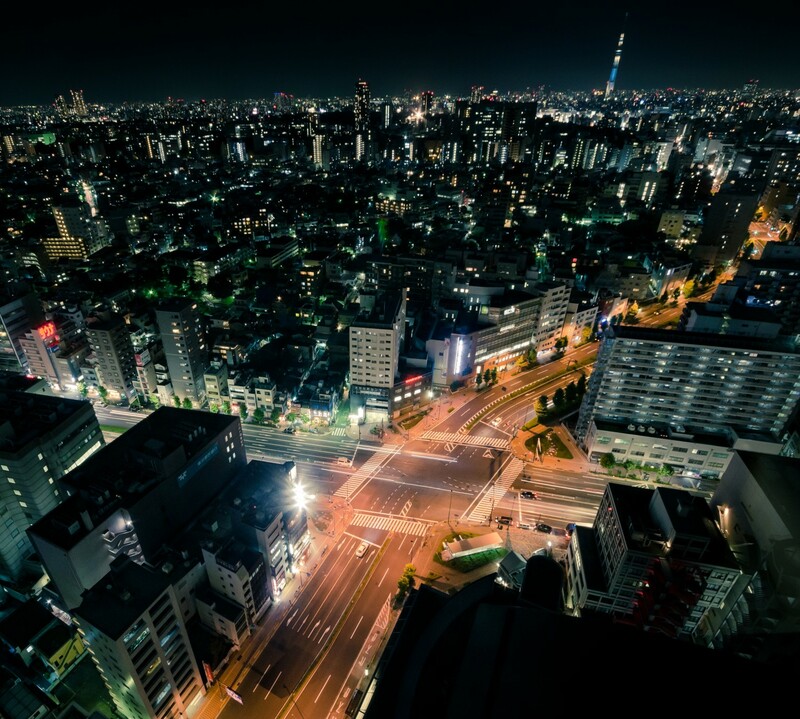 In many ways, Shichigosan was a response to the fear of losing one’s child prematurely. At the time, it probably made a lot of sense to parents and gave them a sense of peace. Today, of course, it’s mainly a matter of tradition and perhaps an opportunity for a nice photo to put on the New Year’s Card. To be Japanese, it is reasoned, is to observe the religious traditions of Shintoism and Buddhism; whether or not you believe in them is your own business. Though the gods of Shintoism have no authority over life or death, thousands of children will be taken to a shrine for this beautiful yet empty ceremony. 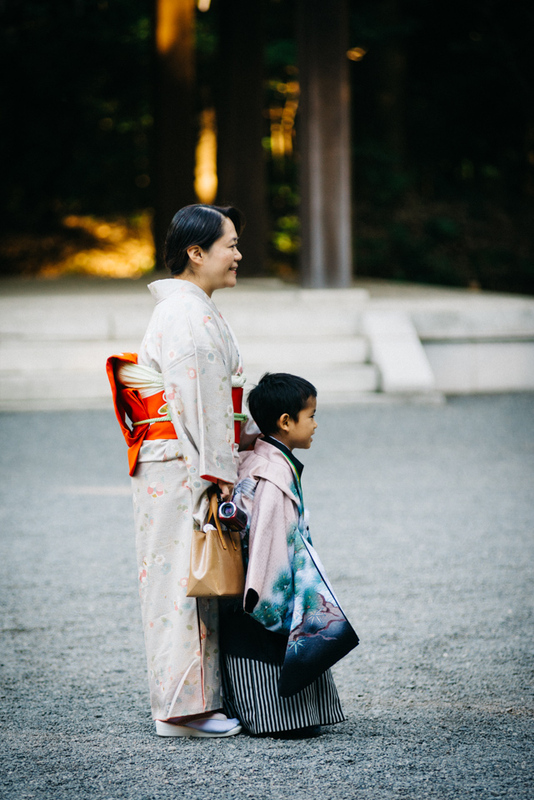 Our hope and prayer is that one day, Japanese parents will dress their children in their finest kimono and hakama and take them to church to have a pastor pray a blessing over them from God our Father and Creator, and not just for health and long life, but for eternal life through Christ Jesus. Or better yet, that the parents themselves pray a blessing over their own children in the name of Jesus, because as children of the one true God, we have the right to approach Him directly and make our requests known! One of my favorite posts so far.